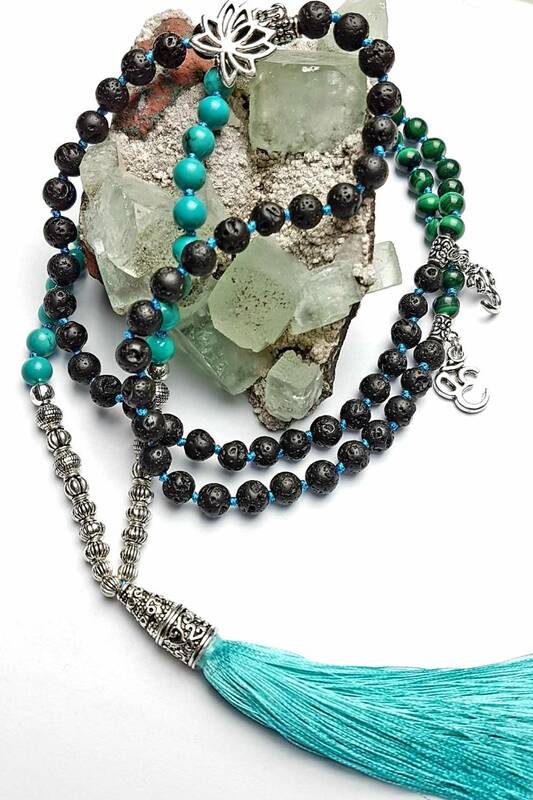 This exquisite 108 bead is made of 6mm dyed howlite, green malachite and black basalt crystal stones and are carefully hand knotted on durable knotting thread. Blue is the colour of the throat chakra aiding in better communication and allowing the truth to be spoken from the heart with kindness and compassion. Green is the colour of the heart chakra, the center of compassion, empathy, love, and healing. Howlite is a wonderful stone for calming upset states of mind and emotion. Howlite decreases an overly critical state of mind, selfishness, stress, and anxiety, bringing calm and relaxation. Howlite also can decrease anger originating from within or externally. The wake of such calming can help one be truly comfortable as oneself without the need to pretend to be anything but what you are. 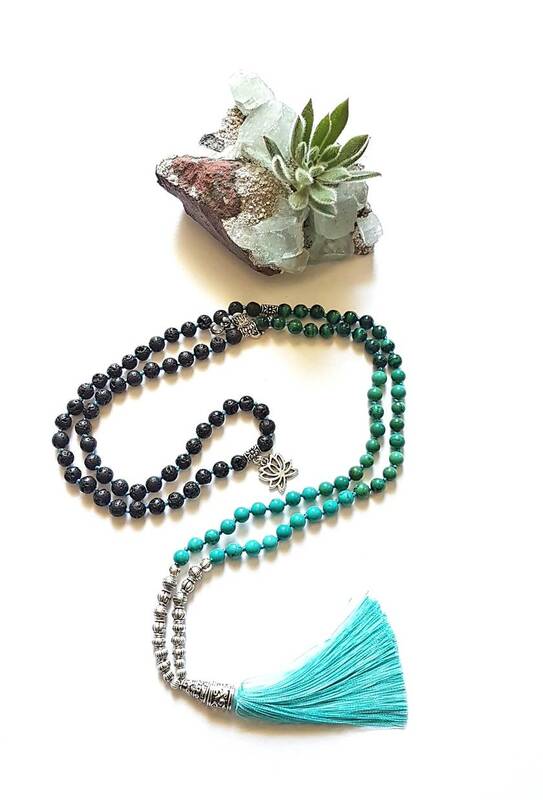 Subtlety and tact are also energies that howlite brings. This can calm difficult communications and ease confrontations, particularly by decreasing rudeness and facetiousness. 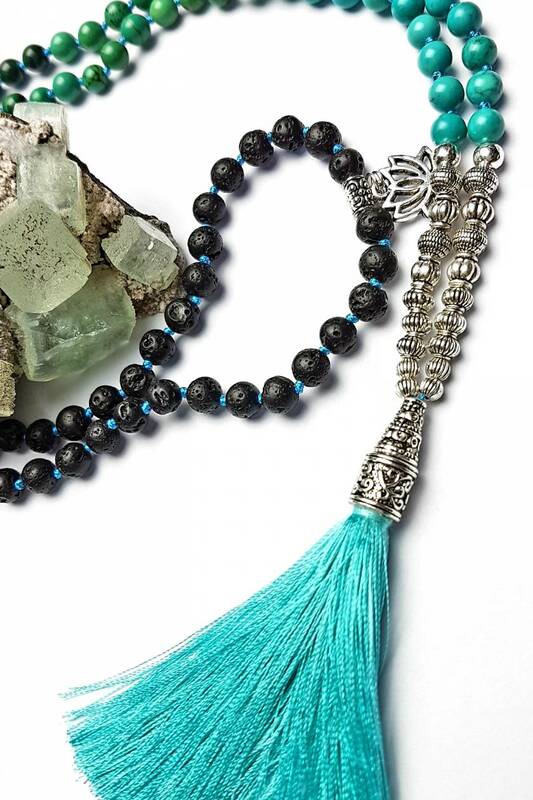 It clears and activates all Chakras, and is especially helpful in the stimulation of the Heart and Throat Chakras. 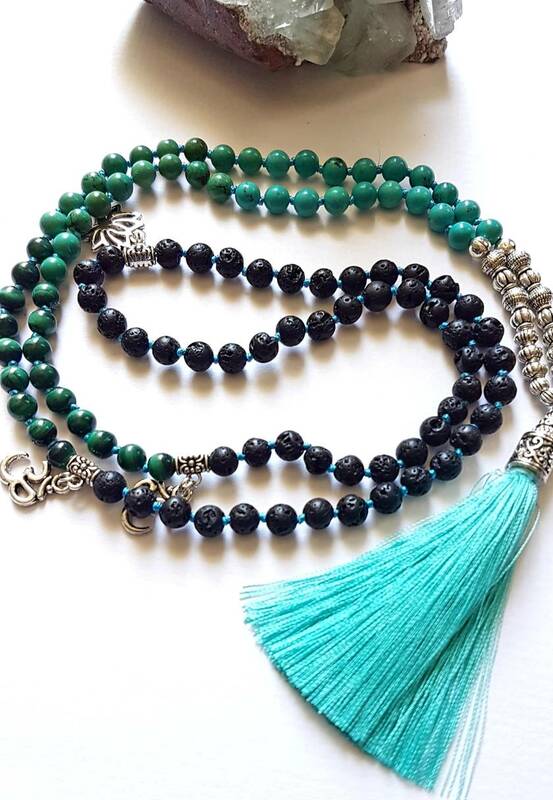 An extremely powerful metaphysical stone, Malachite is often called the “stone of transformation” and is used for deep energy cleaning, bringing healing and positive transformation to the wearer.